Lawn & Garden | Home Wise! Family Smart! Fungus gnats are nuisance pests that occur indoors throughout the winter months. They breed and develop in overwatered potted plants. Many people do not realize plants take up less water in the winter, continue to water regularly, thereby creating a suitable habitat in the soil for the fungus gnat to complete its life cycle. Fungus gnats are very small, often mistaken for fruit flies. Adults are grayish-black, about 1/8-inch long and have one pair of wings. At first glance, they may appear similar to fruit flies, but they complete their development in top layers of soil. Females lay 100–150 eggs in moist potting soil and the larvae feed and develop on the fungi and organic matter. Fungus gnat larvae are white, slender, legless maggots with translucent bodies and dark heads. Larval feeding sometimes includes gnawing on the roots and stems of plants. When magnified, fungus gnats have dark-colored body, long antennae and Y-shaped wing vein. In warm conditions, overlapping generations may occur, producing large populations which can cause spotting, curling, yellowing or plant death. After pupating in the soil, they emerge as winged adults, bothering people by flying around faces, lights, windows and food items. In order to eliminate a fungus gnat infestation, the life cycle must be broken. This can be done by removing the fungus in which they breed, while simultaneously reducing the number of breeding and egg-laying adults. A non-chemical approach is to reduce the topsoil moisture by less frequent watering, drying out the soil and changing the plant medium to provide better drainage. Fungus gnats breed in the moist soil of potted plants. To catch flying adults, yellow sticky card traps are available at garden stores and placed at the soil surface. In addition, there are biological control products such as the microorganism, Bacillus thuringiensis (Bt), which is applied to the soil to kill larvae after ingestion. Bti (subspecies israelensis) is selective to insect fly larvae, non-toxic to humans, pets and contains no harmful residues. A product labeled to control fungus gnats in plant beds or pots include Mosquito Bits® by Summit Chemical Company. Check out our guide to help identify other common pesky flies that may be bugging you in your home. For help with vinegar flies or fruit flies, check out this blog post. Confessions of an Extension Entomologist: I have two plants in my home that have to get dry and droopy before I water them. I do not have a green thumb. Before taking your Christmas tree to the recycling center this year, consider using it to create backyard habitat for birds. To attract birds to your backyard, you must provide their three basic needs- food, water, and cover or shelter. Your old Christmas tree will provide excellent shelter for birds, providing protection from wind and predators. It can also serve as a feeding station, where you provide a buffet of food that our native birds love. Before taking the tree outside, remove all decorations and lights, including tinsel. To provide the most shelter possible for the birds, place the tree on the south or east side of the house, sheltered from winter’s harsh north and west winds. Anchor the tree securely by setting the stump into the ground or a large bucket of damp sand, and securing the top of the tree with twine to nearby building, fence or trees. There are several more ways to recycle your Christmas tree. Learn more, read the entire article “Recycling Ideas – Christmas Trees“. Making an ice suncatcher with natural materials is a fun winter activity for all ages. Using water, natural materials, freezing temperatures and a little time, you can create an outdoor decoration to place in the yard during the cold winter months. 1. Collect twigs, leaves, pinecones, cranberries, seeds, orange and apple slices, or other small natural materials to use as decoration for your suncatcher. The suncatcher needs a hanger, use a small loop of twine or ribbon. 2. Fill a pie or cake pan half full with water. Add a bit of food coloring to add color to your suncatcher. Arrange your decorations in the water. By adding fruit or bird seed you can make your suncatcher a bird feeder too. Position the hanger in the water leaving the loop out for hanging later. Place the pan outside if you have freezing temperatures or in the freezer to freeze overnight. After you have the pan in place to freeze, add more water to fill the pan. If you are doing this activity with kids, it can be a bit messy. It might be a good idea to make them outside. 3. When frozen, pop it out of the mold or run the underside of the cake pan through warm water for a few seconds until it loosens. Hang your ice suncatcher on a fence or a tree in the yard. Remove the ribbon or twine once the ice suncatcher has melted. Check out the entire November/December issue of the free NEBLINE newsletter for much more from Nebraska Extension in Lancaster County. Visit http://lancaster.unl.edu/nebline and click on the link to the March 2018 NEBLINE! Learn more. Read Fields of White & Gold — GRO Big Red from our Nebraska Extension in Douglas-Sarpy colleagues. When the apple and cherry trees start to bloom, we know spring has finally arrived. Fruit trees are wonderful additions to the home landscape, both as fruit producers and ornamental blooming trees. To maximize the health of your fruit trees, begin with proper pruning, then provide good care through fertilization, watering and mulching throughout the summer. Next, develop an integrated pest management plan tailored to the specific insect and disease problems affecting your trees. Pruning, research, trouble for fruit trees, integrated pest management, and early season pest control are covered in the feature article in the March issue of the NEBLINE Newsletter. View Page 1 and Page 3 for rest of this article (near the bottom of the page). 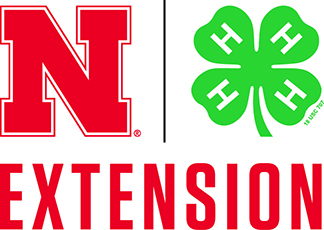 Check out the entire March issue of the free NEBLINE newsletter for much more from Nebraska Extension in Lancaster County. Visit http://lancaster.unl.edu/nebline and click on the link to the March 2018 NEBLINE! Cow Killer Ant (Velvet Ant). This is not an “ant” but a wasp! If you have other pest and wildlife questions, we have resources on-line at http://lancaster.unl.edu/pest or contact your local extension office.